. يعمل Turner Heights Townhouses على ضمان إقامة مريحة لضيوفه من خلال خدماته الممتازة وحسن ضيافته. يقدم هذا الفندق العديد من الخدمات الكفيلة بإرضاء أكثر الضيوف تطلباً. بالإضافة لهذا,تتضمن كل غرف الضيوف مجموعة واسعة من وسائل الراحة . بعض الغرف توفر حتى تلفزيون بشاشة مسطحة, اتصال لاسلكي بالإنترنت, غرف لغير المدخنين, تدفئة, مكتب لإرضاء أكثر الضيوف تطلباً. سواء كنت من محبي الرياضة أو كنت تتطلع لتفريغ عناء نهار صعب، ستجد خدمات ذات مستوى عالي بانتظارك كمثل حوض استحمام ساخن, حديقة. مهما كانت أسبابك لزيارة كوينز تاون، فإن Turner Heights Townhouses هو الخيار الأفضل لإقامة مثيرة وممتعة. Location, views, and value for money. Stay at Turner was excellent. Very centrally located within a short walk down a bit a steep hill (may be difficult for those who aren't in the most fit condition but not too bad). Rooms are nice, particularly the master suite which overlooks the city. You can see the parachuters landing not too far away in the mornings. Second bedroom would probably be better suited for children as it doesn't have the same views and was several twin beds. 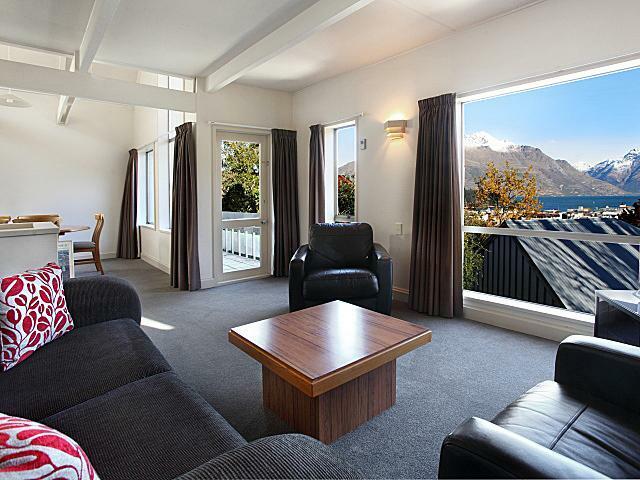 Kitchen and upstairs lounge room were better than expected and had great views over Queenstown. 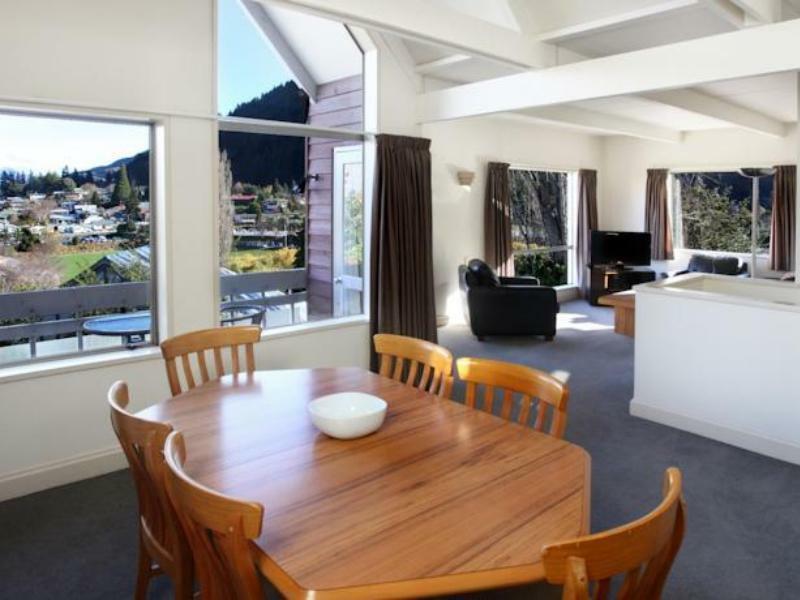 Overall very good value for money and easy to get anywhere in Queenstown main city area. we loved staying here and will definitely stay again.a really big 2 storey apartment, everything possible provided, and the unit was spotlessly clean. Thanks to the staff for upgrade my room to Apartment 3. The apartment is clean, tidy and equipped with good facilities. It is comfortable to stay at this apartment espcially sitting at the living room to see the stunning view. It is convenient as supermarkets, resturants, are within walkable distance. The view was fantastic, everything was within walking distance, the apartments were homely and neat, would recommend. I would definitely come back to these apartments, we thoroughly enjoyed our stay here. I couldn't fault it! Love, love, love Turner Heights! Feels like a home away from home. We stayed at apt 10. The bedrooms were on the basement and the living+dining at the ground floor. You have to watch young children all the time with the stairs. It has beautiful mountain & lake view, but sadly a bit blocked by the property in front of us. The unit is clean, kitchen with provided utensils, homey interior though not modern nor old. OK for us. The location is 5min walk to Shotover st. (city centre). Walking home a bit steep but nothing you can't handle. Very suitable for a family holiday.